The name of the indigenous Anglican presence in Spain is the Iglesia Española Reformada Episcopal (IERE), or as it is often called in English, the Reformed Episcopal Church of Spain. We date our beginnings back to 150 years ago when a number of converts from Roman Catholicism got together to form a new Christian presence for Spain. One of the visions of our founding bishop, the Rt. Rev. Juan Bautista Cabrera, was to return to Spain its ancient liturgy, variously called the Visigoth, Hispanic, or (most common) Mozarabic rite. This text preserved the liturgical life of the Christians who survived centuries of Islamic imperial occupation. As the Catholic monarchs in Spain continued with the just recovery of lands that had been stolen from Christendom in wars of wanton aggression, the Latin Rite replaced the Mozarabic Rite. All of this to say, the IERE is unique among Anglican Churches in that our liturgical practice does not derive primarily from the English Book of Common Prayer. This also means that we have our own cycle of readings and even our own church calendar (ie, we have six Sundays of Advent, not four; Lent starts on the Monday before Ash Wednesday, and there is no imposition of ashes; and more). Our Lenten readings from the Old Testament have been very interesting to me as a preacher. They are very long readings and recount what most Christians would think of as stories for children. One of those long readings was Numbers 22:1–23:10, the Balaam narrative. Balaam lives in Syria, far from Moab and the Hebrew people, yet we are surprised that he curses and blesses in the name of YHWH. The king of Moab is reasonably distressed by the Hebrews: they have just been victorious over the neighboring kingdom of the Amorites. Again, reasonably, he understands that no earthly power is to help him against the Hebrews and he sends for Balaam. Balaam is stuck between YHWH, who has told him clearly that Israel is blessed, and the king of Moab, who is offering him lots of goodies. He clarifies with the king of Moab that he can only say what YHWH tells him, but, after a second delegation from Balak, he says he will go to Moab. It is en route to Moab that the famous talking donkey incident occurs: Balaam is encountered by the angel of the Lord and told that his way is perverse; Balaam repents and offers to turn back. The angel of the Lord says he must continue on, and so he does. Upon arriving in Moab Balaam is looking at the Hebrews. (The text gives us no indication that the Hebrews are aware of any of these Moabite machinations, by the way.) Altars are set up and Balaam again hears from the Lord. He pronounces YHWH’s blessing on Israel, reaffirming for the reader the covenant that YHWH had made with Abraham in Genesis 12: to give his descendents the land, to multiply them, and through these things to make his seed a blessing to all the nations of the earth. Genesis 12 is, theologically, the foundation of the Church’s mission, and indeed, the very reason that the Church exists. Read the chapter on Israel in my new book, Two Stories of Everything, for more details on that. Balaam was always clear that he could only speak what the Lord told him. It’s hard to think of better counsel for the Church’s missionaries around the world. Finding his ministry pressured by secular and economic factors is something that missionaries (and other ministers) should be able to identify with. Even though Balaam did err in going to Moab, he repents of this once his sin is made known to him (courtesy of the donkey and the angel). This should be the rule for missionaries as well—not to expect them to never err, which is what people expected of Balaam, but that when they err they humbly repent and show themselves to be teachable. Balaam achieves his mission in pronouncing the blessing of YHWH upon Israel. Balak’s behavior was quite reasonable, as I point out above. But the promise to Abraham was clear, and if Balak had been a blessing to Israel, then Israel could have been a blessing to Moab. But our reading ends with the blessing. You can read Numbers to see how Balak responded to the successful if imperfect mission of Balaam of Pethor, who was a missionary, just like us. Rev. 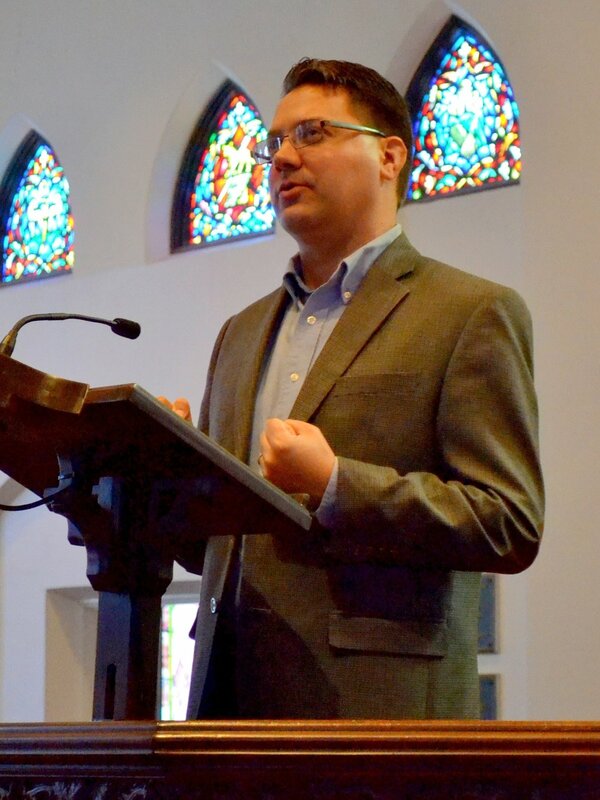 Dr. Duane Alexander Miller has an MA in Theology and one of the main areas of research for his PhD in divinity was religious conversion from Islam to Christianity. He has taught all over the world and is currently an at-large lecturer and researcher at The Christian Institute of Islamic Studies. Duane and his wife, Sharon, now live in Madrid with their three children where they teach and minister at the Anglican Cathedral of the Redeemer. You can contact Duane here.